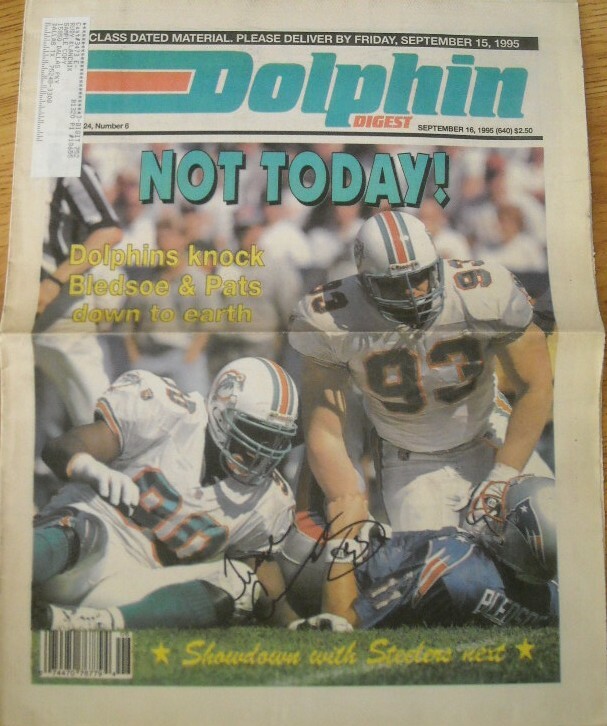 1995 Dolphin Digest newspaper (FRONT PAGE ONLY) autographed in black marker by former Miami Dolphins sack machine Trace Armstrong, who led the AFC in sacks with 16.5 in 2000. Obtained in person. With certificate of authenticity from AutographsForSale.com. ONLY ONE AVAILABLE FOR SALE.